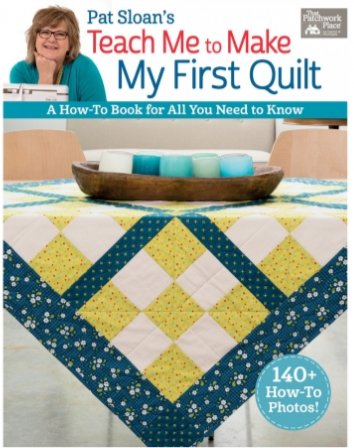 At the end of the 4 sessions (or 2 all day sessions), you will have learned the basic skills of quilt making: fabric selection, rotary cutting, accurate piecing, adding borders, quilting, and binding. Come to the first class with your supplies or you can purchase right before class starts. We will be cutting fabric and sewing during the first class. There will be homework to be prepared for the next session. 20% discount will be given for purchases listed on the supply list. Supply list will be given when you register for the class. No experience necessary. Bring your own machine. Class fee is $75 plus supplies and book. You will also need your sewing machine, supplies, and book. The supply list will be given out when you register. 20% discount will be given for all items purchased on the supply list.